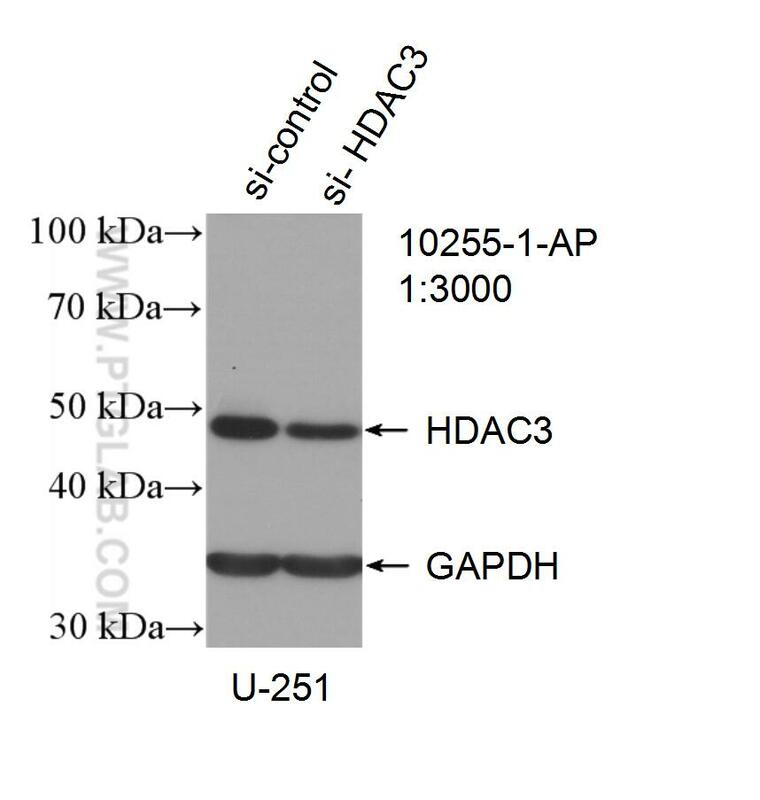 IP Result of anti-HDAC3 (IP:10255-1-AP, 3ug; Detection:10255-1-AP 1:300) with A431 cells lysate 1200ug. Histone acetylation/deacetylation alters chromosome structure and affects transcription factor access to DNA. Histone deacetylase (HDAC) and histone acetyltransferase (HAT) are enzymes that regulate transcription by selectively deacetylating or acetylating the (-amino groups of lysines located near the amino termini of core histone proteins. At least 4 classes of HDAC were identified. HDAC3 is a class I HDAC. HDAC3 has histone deacetylase activity and may participate in the regulation of transcription through its binding with the zinc-finger transcription factor YY1. HDAC3 can also down-regulate p53 function and thus modulate cell growth and apoptosis. 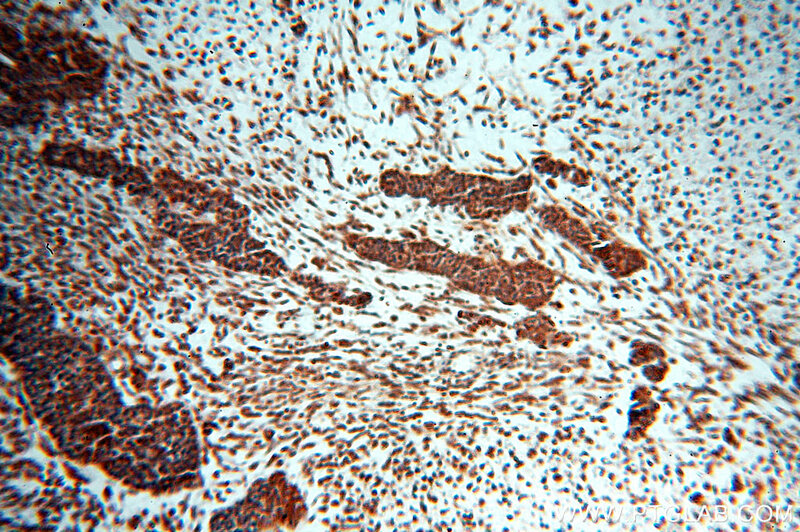 The gene encoding HDAC3 is regarded as a potential tumor suppressor gene. 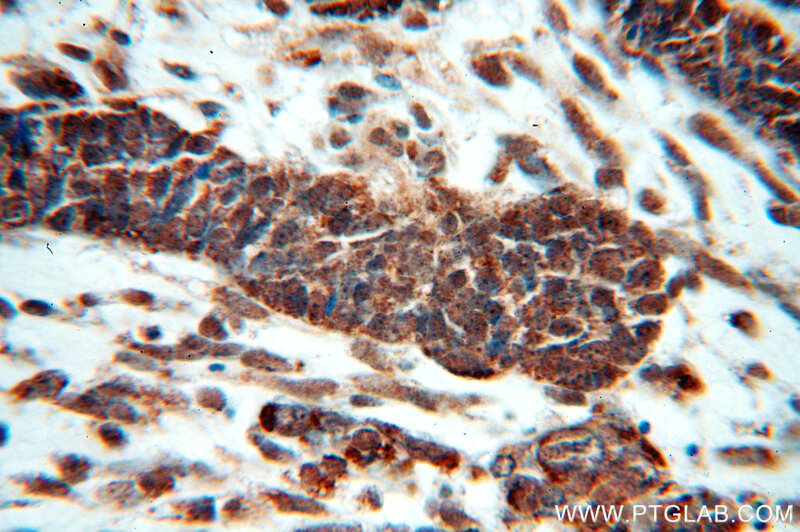 This antibody is a rabbit polyclonal antibody raised against an internal region of human HDAC3. Targeting JUN, CEBPB, and HDAC3: A Novel Strategy to Overcome Drug Resistance in Hypoxic Glioblastoma. Propofol enhances the cisplatin-induced apoptosis on cervical cancer cells via EGFR/JAK2/STAT3 pathway.